So far this season we’ve caught at least one bird every day. Most days we catch two or three; our best days have been our three five-junco days. This season is going really well. Yet, at least every other day I find myself thinking, “This is it—the beginning of the juncos’ ceasing to respond to us, the moment where we lose our mist netting mojo.” It’s amazing how crushing it can be to go hours not catching a bird. Never mind how many you caught yesterday—this is the turning point, the day it all stopped working. Then you catch a junco, finally, and everything is great! This isn’t just my personal idiosyncrasy, either. My field assistants have remarked on it: a morning without a junco, watching them sing back to us halfheartedly and then resume foraging, flying nowhere near the net, and you’re wondering what you’re doing with your life; then one junco, and you’re on top of the world. The last morning of our most recent trip was a perfect example of how the randomness of mist netting encourages this bipolar feeling. From 7 to 10:30 am we watched junco after junco not quite care enough about our playback to come close enough to be caught. Then at 10:30 we caught as bycatch a species we had long been hoping to accidentally catch (more on that later); at 10:45 we caught a junco; and while we were processing that junco, two Yellow-rumped Warblers hit our net. From a zero-junco to a one-junco morning (such a difference! ), with three exciting bycatch birds to boot! It was a great way to end the trip. 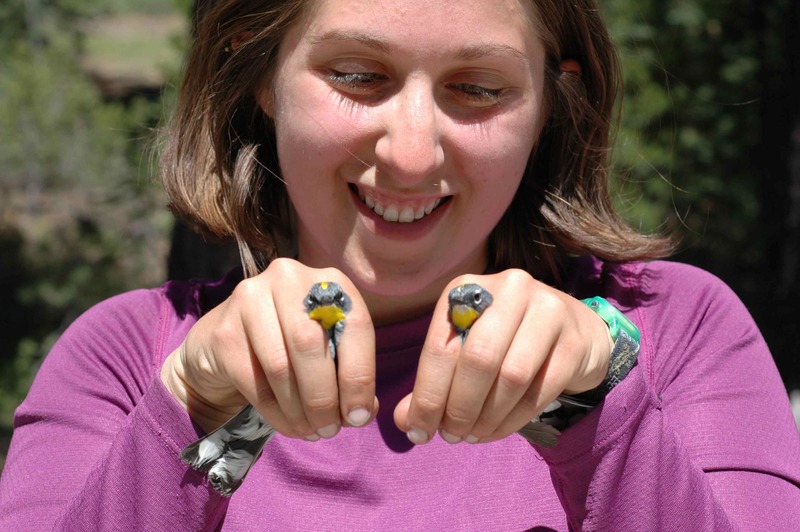 This entry was posted in DEJU, field work and tagged field work, mist netting by toughlittlebirds. Bookmark the permalink.